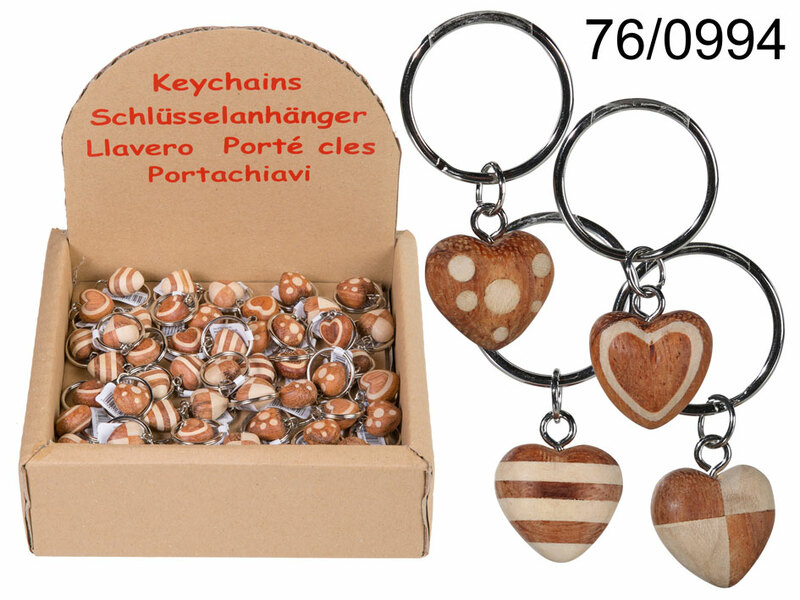 Lovely heart-shaped pendant made of natural wood on a metal keyring. Perfect small gift idea for someone close to your heart. Several models available - assorted. When buying 48 pieces display stand is free of charge. Size: 4.5 x 1 x 2.5 cm.